Premium large-venue SXGA+ laser projector with 15,000 lumens. The Pro L1715SNL combines a laser light source and 3LCD technology for powerful, uncompromising images. 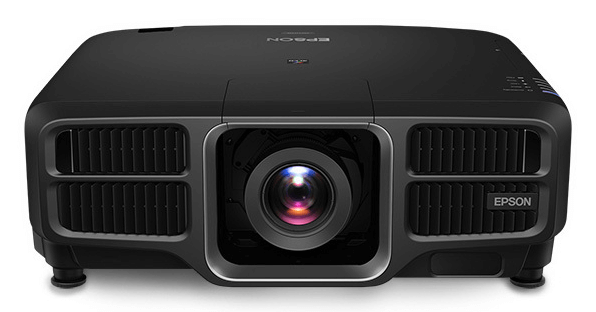 This premium large-venue projector also features native SXGA+ performance. Delivering 15,000 lumens of color/white brightness from a standard 120 V power source, the Pro L1715SNL offers ultra bright, vivid color, while its laser light engine and electrostatic air filter provide virtually maintenance-free operation for up to 20,000 hours. This sleek, black projector includes Edge Blending and curved-surface correction for a variety of installation applications. Its integration capabilities include HDBaseT™ connectivity and nine optional powered lenses (sold separately). Some lenses will not support the maximum brightness level of this projector. Features 15,000 lumens of color brightness (color light output) and 15,000 lumens of white brightness (white light output).